Music has brought me such joy in life, and my desire is to share the capacity for that joy with others through music instruction. Summer is a bubbly, fun, positive teacher who enjoys sharing her love for music with others and empowering students with the foundation and skills to enjoy and perform music themselves. A native of Asheville, NC, Summer has played the piano for twenty six years, with classical training from Mary Kay Parker for fourteen years. She is a singer/songwriter, and has participated in several fun collaborations with other musicians over the years. 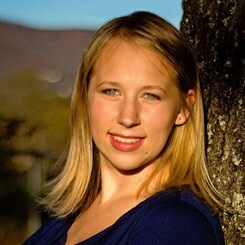 Summer served as the pianist for three and a half years at The Celebration Church in Weaverville, and then as the worship leader at Beaverdam Baptist Church for Seven years. She has enjoyed sharing knowledge of music with students of all ages and abilities for over a decade. Request Lessons with Summer today!